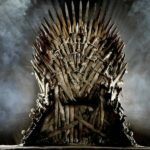 Game of Thrones: Season 7 premiers in less than a week! So much has transpired thus far and if you’re anything like I am, you’re a bit rusty as to the what’s what in the world of Westeros. So pour yourself a mead, harken close and let us regale an account of the first six seasons of this intricate tale so far! Is Winter coming this season? Is it already here? 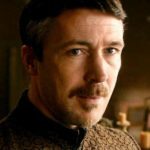 Who is Littlefinger? I’ve done the research so you don’t have to, so settle in and let’s begin. 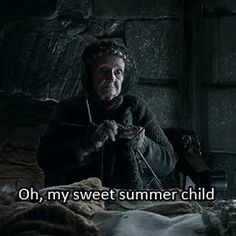 When it comes to Game of Thrones I’m afraid I’m a bit of a sweet summer child… I haven’t ACTUALLY watched an episode of the series or read any of the books, but I have talked to people (Maybe more listened than talked), and in talking to people I have learned some things. I’ve taken some notes and I think I have more or less all of the nitty gritty details I need to get everyone caught up. If GoT had a mascot it’s this dragon mother. She is the face of the franchise to the person who has never seen an episode… well, maybe it’s a toss up between her and that chair made of swords. She is the daughter of the Mad King (Aerys II Targaryen). The Mad King was killed during the Robert’s Rebellion and she was taken to another land at a very young age to escape being killed. She grows older, becomes a Khaleesi (wife of the khal), is gifted some dragon eggs, becomes a mother of dragons and has a bit of a claim to the Throne… the Iron Throne in King’s Landing. At the end of Season 6 she has amassed a grand army and has set sail toward Westeros, hell bent on reclaiming the Throne. There are three living Dragons in the series. Danny was gifted three fossilized Egg/Rock things that she put in a fire and these artifacts turned out to indeed be eggs that hatched dragons. She raised the dragons and the dragons look to her as a mother. Two of them stick together most of the time and one is kind of a loner… the Loner is a bit bigger than the other two. The three dragons are big and they can kill White Walkers, frozen zombie-like creatures that live in the Northern part of Westeros. The Dragons are leading Danarius’s fleet across the Sea to Westeros at the end of Season 6. Zombie like creatures that need human babies to increase their numbers. I think they perform a ritual on the babies that turn them into White Walkers. 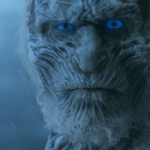 White Walkers cannot be killed by anything except weapons made out of Valerian (Err…Valyrian) Steel and Dragon Glass. Valyrian steel was forged with spells and dragonfire and there’s not much of that lying around. Dragonglass is obsidian and that’s made when dragons burn stuff with there dragon fire (Well, that’s what I heard anyway.) White Walkers live north of The Wall, but have their sights set on marching on down to where the Throne is… The Iron Throne. They want to go down there and… wreak havoc. The Wall was constructed 8 millennia ago by Bran the Builder (of the House of Stark) to keep the 7 kingdoms safe from the White Walkers. The Wall is maintained/defended by the Night’s Watch who are lead by Jon Snow. 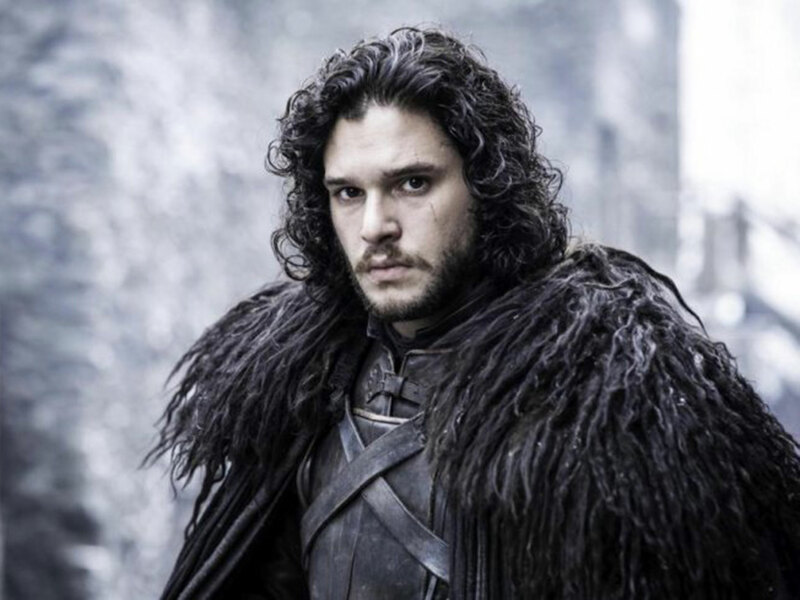 Jon Snow is the son of Lyanna Stark and Radar Targarion (Rhaegar Targaryen). Ednard Stark raises him. 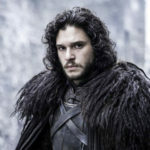 Jon joins the Night’s Watch, is killed by the Night’s Watch and is brought back to life by the Red Woman (Melisandre). Melisandre is a priestess that can apparently bring people who are dead back to life… she was banished from the Northern Kingdom for doing some bad deeds… I think. Jon, together with Sansa Stark fights Ramsay Bolton and his army at the Battle of the Bastards. Ramsay is killed, his armies are defeated and Jon Snow is declared king of the North, restoring the House of Stark as the rulers of the North. 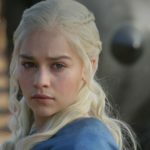 Interesting tidbit… Jon is the nephew of Daenerys (Rhaegar was Daenerys brother. 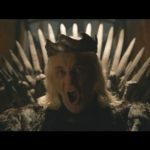 Rhaegar was killed by Robert Baratheon). This guy is just awful. He’s a Warden of the North… He’s pledged allegiance to the Lannisters. 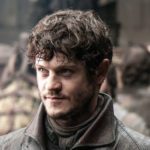 He tortures this one guy Theon Greyjoy horribly… and I mean horribly. By the time Theon escapes this torture he’s a completely broken person. Ramsay is eaten by his own starving dogs. Good riddance. 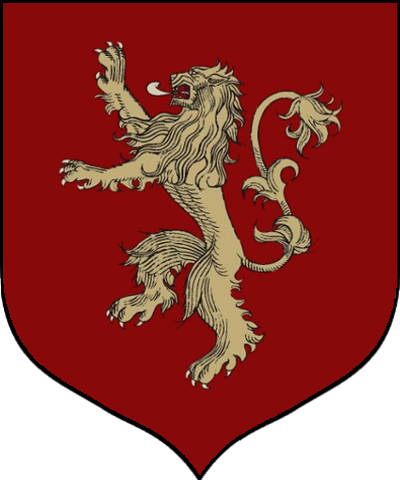 The Lannisters are a highborn family of Westeros. 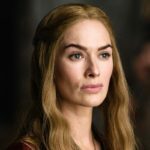 Cersei Lannister was married to Robert Baratheon before he got gorged by a boar and killed. The marriage was strategic and loveless (Cersei kind of had a hand in his death!). Robert Baratheon became the King of Westeros after Jaime Lannister (Cersei’s twin brother) killed the Mad King to save a bunch of innocents from dying. 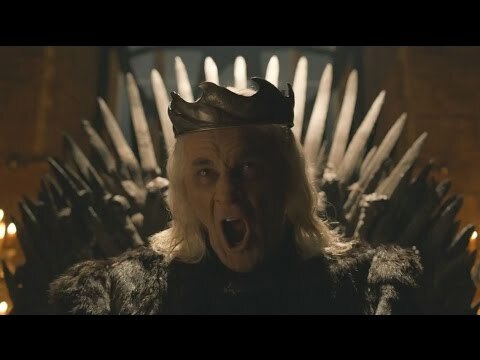 The Mad King kept yelling “Burn them all!” as King’s Landing is being overrun by Robert Baratheon’s army. You see, Alchemists had cashes of explosive munitions throughout the city that could have burned the city to the ground with wildfire (green, magical fire). Jaime Lannister, who is the Hand of the King, kills the Alchemists and then Kills the Mad King. 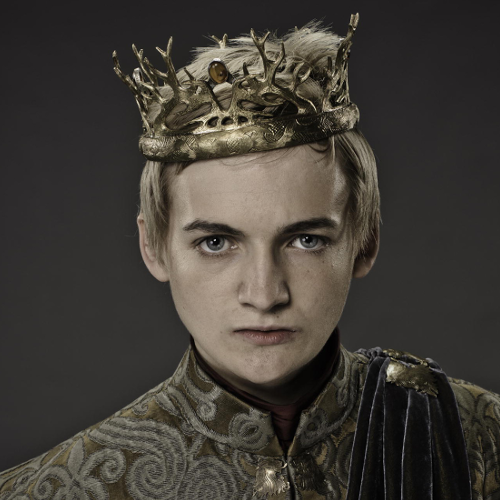 Joffrey is the son of Cersei Lannister and Robert Baratheon and becomes the King when Robert dies. Unbeknownst to Robert, Joffrey is actually a love child between Cersei and her brother Jaime (Scandalous!). Joffrey is a horrible, cruel ruler in much the same vein as Ramsay Bolton (that nasty guy that got eaten by his dogs). 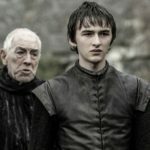 Joffrey rules for a time and is poisoned to death. Tyrion Lannister is framed for the murder even though Littlefinger was behind the plot to kill Joffrey. Tyrion is kind of the red-headed stepchild of the Lannister family. He is framed for the murder of King Joffrey and is tried as such. Tyrion is perturbed at this because he pretty much saved King’s Landing from an attack and he just keeps getting dumped on by everyone. He requests a Trial by Combat. Oberyn Martell (The Red Viper of Dorne) fights for Tyrion at this trial. Oberyn fights The Mountain, this crazy strong, 7-foot tall guy. It looks as though Tyrion’s champion has won. He has The Mountain down on the ground and dying from poision, but Oberyn gets to close. The Mountain grabs Oberyn and crushes his skull with his bare hands. 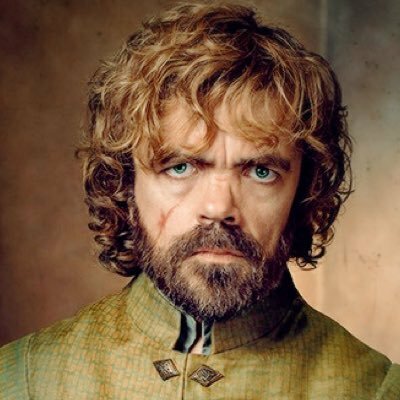 Tyrion loses his trial and is sentence to death. Jaime Lannister helps Tyrion escape in the night before his execution. Tyrion goes to Essos and teams up with Daenerys, because he’s fed up with his own family treating him like garbage. Something to note: Tyrion a skilled political figure. Petyr Baelish, commonly called Littlefinger is a skilled manipulator. He’s come from lowborn, but has worked his way into prominence. He has a hand in a lot of the backstabbing that transpires throughout the series. Keep an eye on this guy. 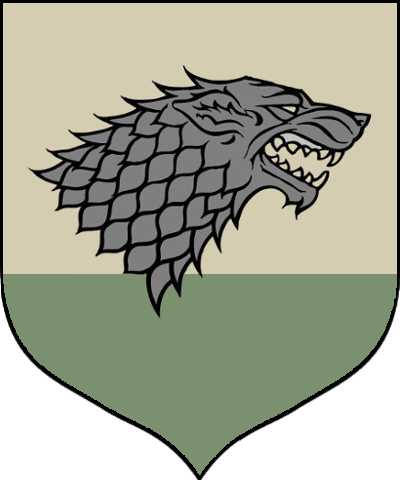 House Stark are traditionally known for being the ruling House of the North. 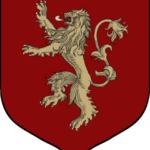 Ednard “Ned” Stark was tagged as the Hand of the King for Robert Baratheon. Fans of the show (and that hadn’t read the books) grew to pull for Ned all through the first season, but then he was beheaded… wha wah. 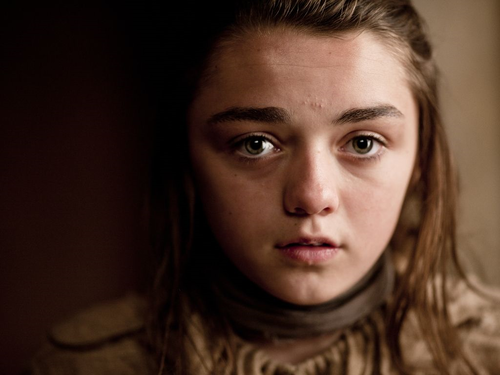 Ned’s children are as follows: Robb, Sansa, Arya, Bran and Rickon. 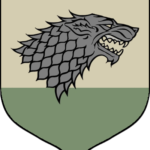 Robb is the King of the North for a time, but is killed at the Red Wedding and the Kingdom of the North is taken over by the Bolton clan (You remember… that dude that got eaten by his dogs is a Bolton). 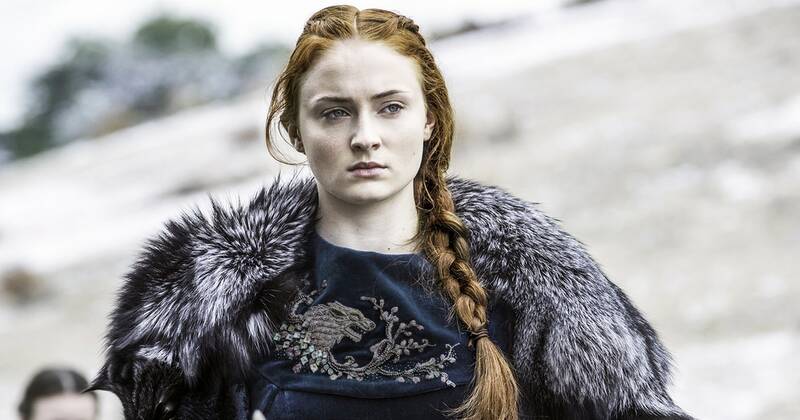 Sansa gets married to Tyrion… then she goes up to Winterfell and gets married to Ramsay Bolton (that’s weird)? She is made a prisoner in Ramsay’s bedchamber… and has a rather rough go of things for a time. Theon (that dude Ramsay has tortured relentlessly) eventually helps Sansa escape, and Sansa is reunited with Jon Snow. 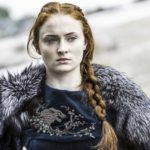 Sansa gets her revenge on her abusive, disgusting husband (Ramsay, not Tyrion) when, after the Battle of the Bastards, Ramsay is… you know… eaten by his own dogs. Arya is hunted by the Lannisters. 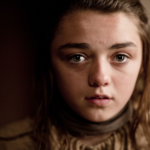 She becomes a beggar and eats birds to stay alive… she goes off to find Jon Snow… she is trained to fight and becomes somewhat of an assassin… a faceless assassin. She goes blind for a time, but regains her eyesight. She kills a bunch of people who have done her family wrong. 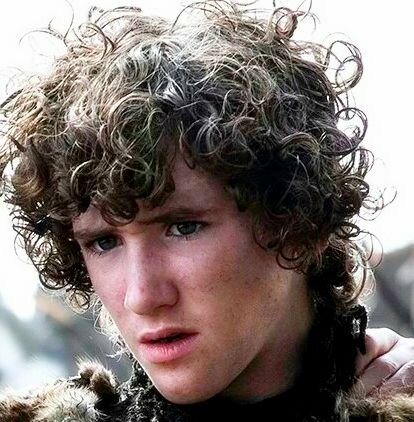 Rickon is the youngest of the Stark children. Following the Fall of Winterfell, Rickon escapes toward the Night’s Watch to the North along with Hodor, Osha, and Bran… They go up that way… Rickon is captured and brought back to Winterfell. Rickon is shot with arrows at some point around the time of the Battle of the Bastards. 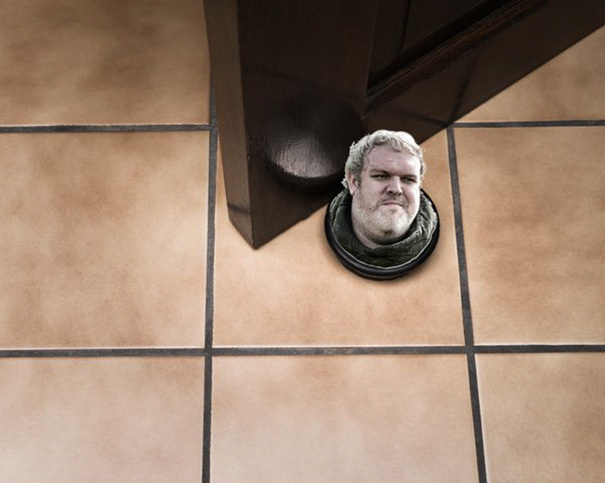 Hodor… He holds the door! As near as I can figure, Hodor is a friendly giant type. He’s not too smart but has a good heart. 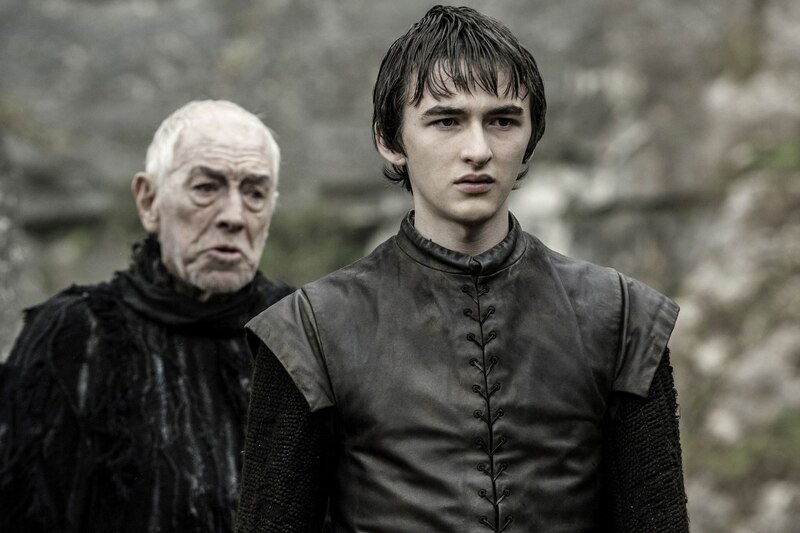 He helps Bran, Rickon, Osha, and later Jojen Reed and Meera along their journey. 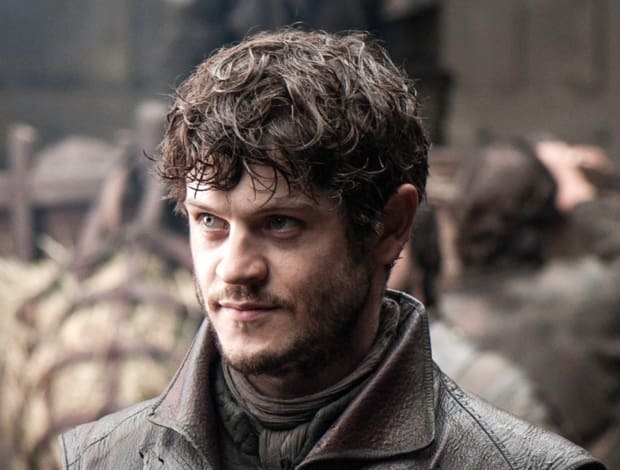 He is a character beloved by fans that is killed while he holds a door closed so that Bran Stark and company can escape pursuing White Walkers. 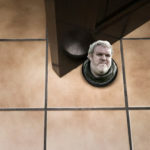 For about 2 weeks fans tried to out do each other with Hodor memes. Oh, each of the Stark children adopted a direwolf at some point in the series: Ghost, Nymeria, Summer, Shaggydog, Grey Wind and Lady. 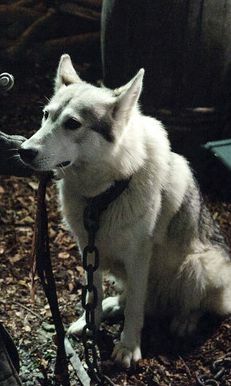 All but Ghost and Nymeria have been killed. I know we’ve touched on Cirsei’s tale a bit but I feel I’ve left out some key points regarding her story so let’s back track a bit. After Joffrey dies, Cirsei’s third son, Tommen becomes the king. Cirsei end’s up being tried for adultery with her cousin Lancel (She’s guilty… we’ve seen it in an episode from a long time ago.). She walks through the streets of King’s Landing naked and people throw things at her and yell some pretty defamatory remarks… This is called the Walk of Attonment. The King, her son Tommen, wants to help her but is afraid to do so. Some things happen… yada, yada, yada… a plot is concocted… yada, yada, yada… at the day of her trial, she is a no show. The people at the Great Sept (the place where the trial is supposed to be held) are about to send guards to go fetch her when, KABOOM! 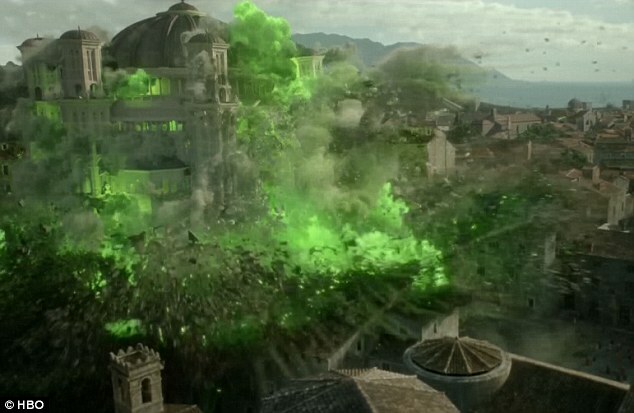 The whole place is engulfed by green flame (wildfire… that stuff the Mad King wanted to use). All of Cirsei’s enemies die in the fire as well as many innocents. Tommen’s wife is killed in the blast and, upon hearing this news, Tommen kills himself. 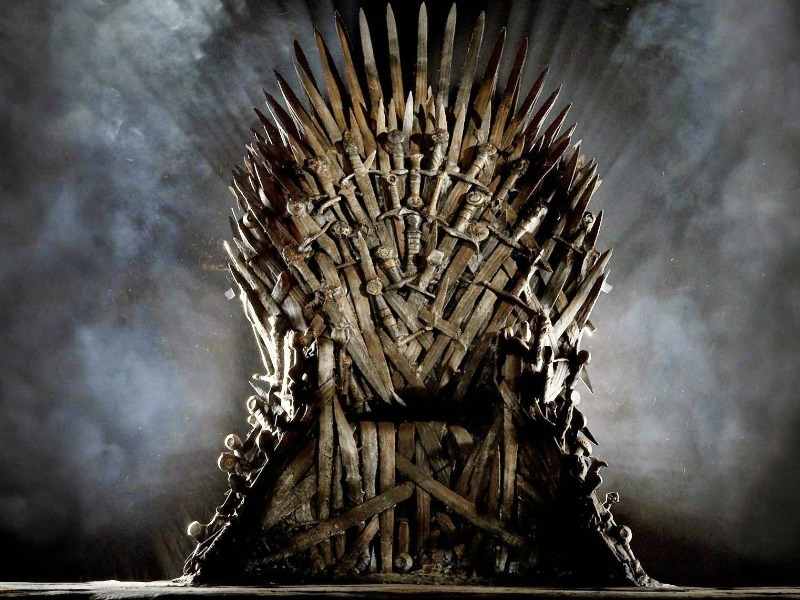 At the end of Season 6, Cirsei declares herself Queen of the Seven Kingdoms and sits on the Iron Throne. The Great Sept is destroyed by wildfire. Hmmm… that pretty much is the long and the short of it… at least as near as I can figure… again I haven’t watched any of the episodes or read the books. 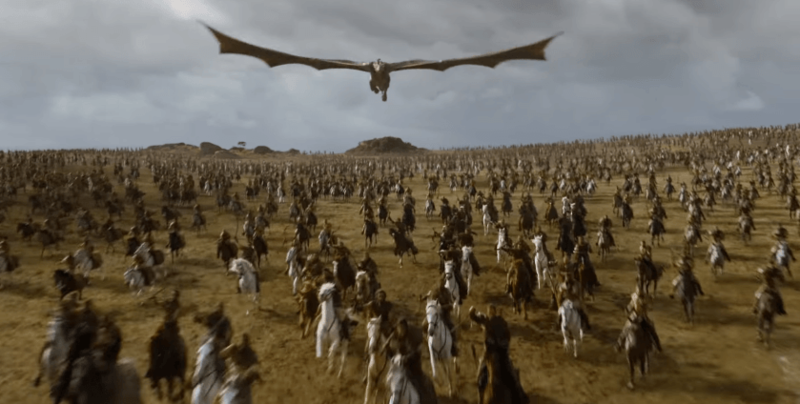 Fans are pretty stoked to maybe see Dragons and White Walkers battle it out at some point. If that every happens, maybe I’ll look that up on YouTube. I’m trying to think what else… Oh, there’s a Sword called Dawn that’s made of a meteorite and is said to be as strong as Valyrian Steel. Oh, also… there’s these elf-like creatures called the Children of the Forest. 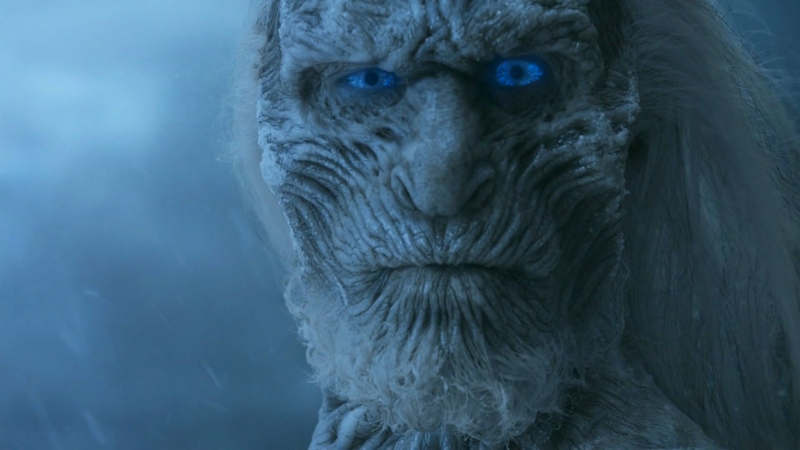 They made the White Walkers to fend off the First Men, but the White Walkers proved uncontrollable… wah wah. Season 7 of Game of Thrones premiers Sunday, July 16 on HBO. 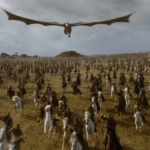 Where are all the Valyrian steel swords in ‘Game of Thrones’?